Accelerate the rate of wound healing with Aloe Vera as it reportedly increases the synthesis of both collagen and proteoglycan – a necessary component in active tissue repair while also acting as a mild anti-bacterial compound to prevent further infections and progressive tissue damage. See a pimple rearing its ugly head? 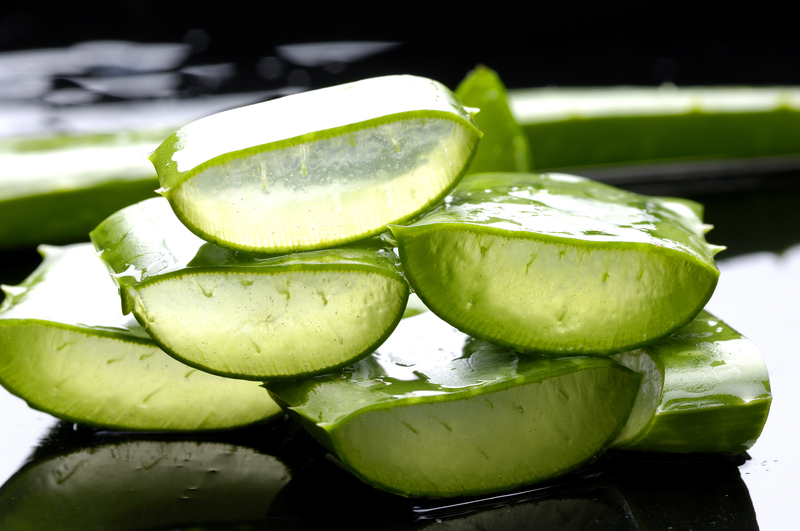 Aloe Vera can help reduce pesky pimples and angry, recurrent acne. Aloe Vera is also great as an anti-inflammatory and inhibits further inflammatory responses such as swelling. If you’ve spent too long in the sun, applying Aloe Vera can help to relief and cool your skin as it is incredibly useful on both first and second degree burns while lessening the sting and accelerating cell regeneration. On a lesser-known note, Aloe Vera is also useful for both frostbite and radiation burns with many reporting 100% effectiveness in complete healing. Keep your skin looking great Aloe Vera can keep you looking youthful too! The cosmetics industry has increasingly recognised its ability to help diminish the unwanted effects of aging skin. Aloe Vera Gels are quickly becoming a natural replacement for moisturising creams, ointments and lotions due to its quick absorbency rate and high moisture content, with scientific reports of skin absorption up to 7 layers deep. Plus, it can also help prevent scarring and stretch marks, brighten skin by reducing pigmentations and dark spots, and soothe itchy psoriasis and seborrhoeic dermatitis. If you want to add luster and strength to your hair, you might want to start using Aloe Vera Gel as a hair and scalp conditioner. The gel has a similar chemical composition as keratin, a naturally occurring protein in healthy hair cells. This similarity allows the Aloe Vera Gel to be more effectively taken into the hair shaft. Besides that, Aloe Vera Gel also creates a more alkaline environment, effectively creating a habitat that is inhospitable to fungus, making it a great treatment for dandruff and other irritating scalp problems. While Aloe Vera may be quite readily available everywhere, cutting a plant and prepping the gel can still be quite the chore! So, if you are looking to stock up on some Aloe Vera Gel try the Aloe Soothing Gel by My Fav Recipe Neula from Japan. It is all packed and ready to be used any time,any day. Shop it exclusively at Guardian today! You’ll be glad you did!